More snow in the engine, but this time it’s from someone going in the ditch! It seems to happen to everyone eventually and it’s better to land in the cushy snow instead of just about anywhere else. 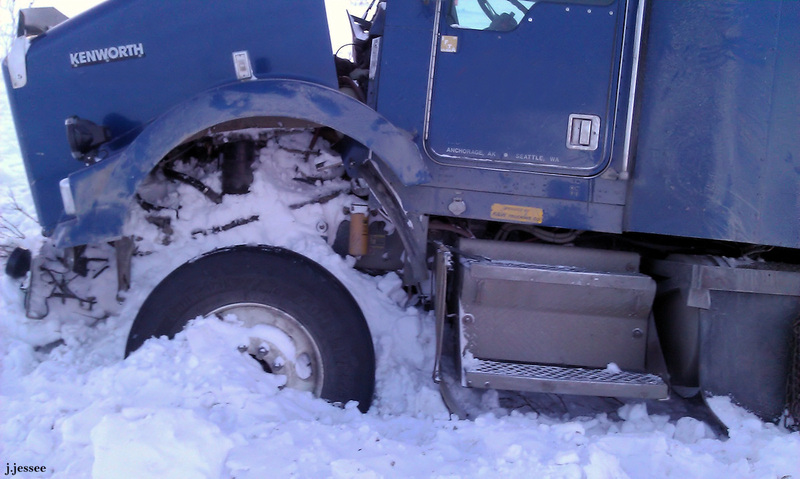 After it got pulled out they cleaned the snow off and drove it away! 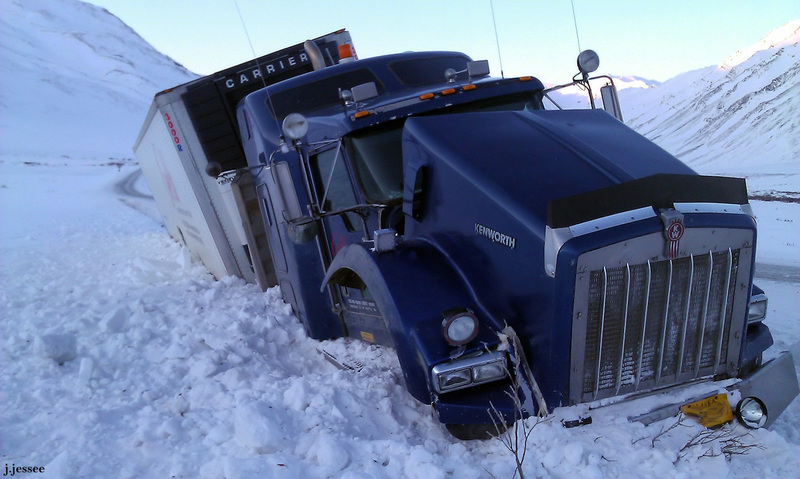 This entry was posted in Trucking and tagged accident, alaska, car accident, car wreck, dalton highway, drive, highway, in the ditch, off the road, road, snow, tractor, truck, truck driving, truck goes off the road, truck in the ditch, truck wreck, trucker, trucking, vehicle, winter. oh yeah, as long as the truck stays upright the driver is usually okay. I watch HIGHWAY TO HELL on weather channel. 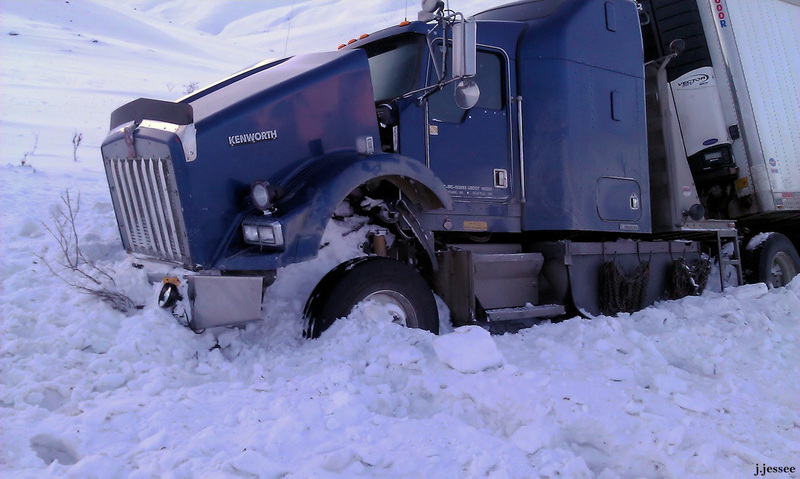 It is about tow companies that work clearing the two lane highways in British Columbia. makes me realize what a dangerous job Jack does for a living. We’ve watched that show before and Jack liked it. He was amazed at the number of wrecks on that highway.